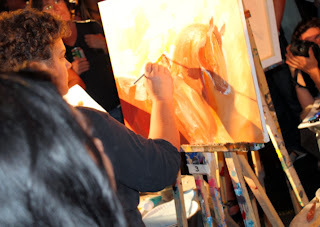 Erica Taylor Art: Art Battle Ottawa! Artists, at circled easels, each create a painting in 20 minute rounds while the audience circles, watches, cheers, yells, photographs... and ultimately votes. Intense! It's a race... it's a battle! Paint everywhere! Very cool. 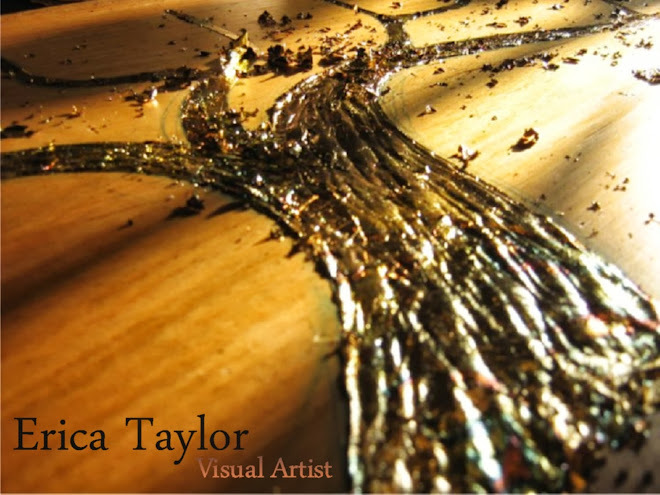 Erica Taylor is a mixed-media artist and found-object assemblage artist and sculptor. She creates contemporary art using a wide range of materials, both natural and man-made. Taylor also creates illustrations, designs logos, signs, posters and brochures, and does hand-lettering and mural painting. She has recently taken up pottery and ceramic sculpture.